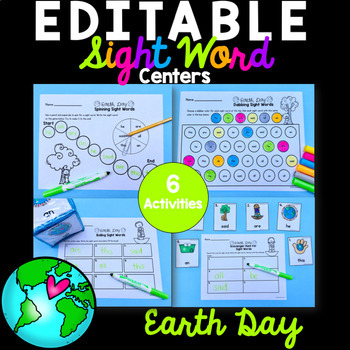 Thank you for checking out my Earth Day theme EDITABLE sight word activities! 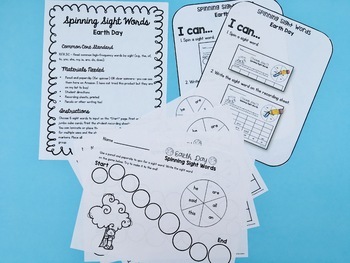 You are able to choose your own 6 sight words for these printable sight word games. This document is a PDF and you will need adobe reader (free version works). The link is included in the file if you need it. This product can be used for literacy center activities, sight word centers, intervention, small group, or as a whole group activity! 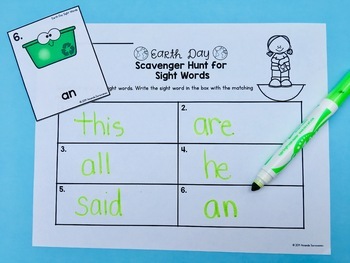 The editable feature makes planning sight word activities and prep less time consuming! 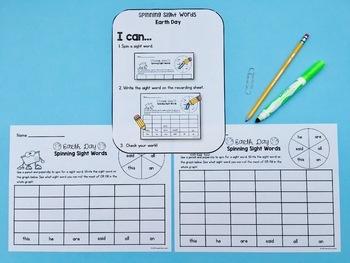 I will be adding more editable sight word practice activities and other themes to my store. Be sure to check my store or follow me for updates. Take pictures of my products in use and tag me on Instagram! I would love to see them!